The outstanding question arising out of An Bord Pleanála’s decision to allow Indaver to proceed with the incinerator at Ringaskiddy is that of democracy. How can planning be granted in the face of unanimous opposition from the wider community, in Ringaskiddy and throughout the Cork harbour area? What has happened to our representative democracy, why is it rendered powerless against corporate interests? What does it say of our elected representatives that have allowed this threat to continue for over two decades, and still claim that their hands are tied? Where is the emergency legislation or Ministerial orders to stop Indaver? Where are the resignations in protest? Why did these overpaid TDs and Ministers, all of whom claim to oppose the incinerator, not simply cover the full legal costs of appeal? Why has the community, through voluntary work, been forced to collect hundreds of thousands of Euro to defend ourselves against a corporation who will probably write off their costs against any tax on profits? 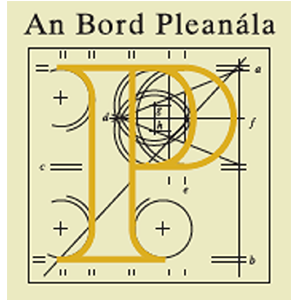 An Bord Pleanála is answerable to no one, the can ignore the County Development Plan and Local Councils, they have even ignored their own inspectors! Thankfully the CHASE organisation and the local community continue the fight, it deserves everyone’s support. Let’s not poison our environment so that a giant multi-national corporation can make a profit and increase its share price! Next Next post: Homeless Persons Unit at Drinan Street must be Closed Down!